Until now, I was like you and looking for something like this...I never found it so we had to build the perfect opportunity...a chance to work for yourself from home, on your time, online no cell phone calls, fully auto-pilot and the money rolls in. That is what we have and no, we do not just do it by selling information on how to make money...there seem to be a lot of gurus whose product is simply, "how to make money online"....ever wonder...doing what!? That is one of the many things that sets us apart, legitimacy. We are an opportunity that is based on not only a rock solid product, but a product that costs less money and offers more value to the consumer then anything else in its niche....and that's the second thing. We are positioned in a massive "niche" industry...how much bigger does it get than fitness? And no, we are not trying to convince people our little heard of herbal drink or supplement is the missing link in fitness. 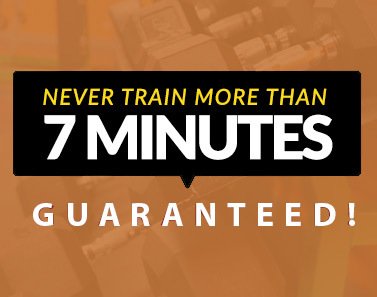 Our product is a proven fitness program ....and it is a DIGITAL SERVICE!!! This means we do not pay YOUR money out in shipping, packaging or manufacturing...the work is done, the proof is done, the service is on auto pilot and is proven to help people lose weight with better than 500% HIGHER retention rates than typical offline workout programs...talk about a program that works and we offer it all via the internet...so the money generated goes to who earned it. YOU!! The marketer!! Now, I am sure you have seen good products before but ever notice how they pay ou very little in terms of a comp plan? I also know you have seen good comp plans before, yet the product is lacking and is usually not much more than an excuse to churn money online until the F.T.C. shuts them down. In our case, we are that "once in a generation" opportunity that has a product that is so superior to competitors, we have people who do not care one bit about making money with us because they have -according to them- gained far more from us than money could ever buy. They have regained their health. They have repaired their self-esteem, they have empowered themselved by finally using a product that WORKS and a system they can follow on a consistent basis....doesn't it make sense that people can stick to a workout program that demands only 7 minutes every second day? AND they can make a literal FORTUNE just by sharing the system that has changed their lives! The ultimate business opportunity! The product is so good people want to share it and then when they do share it....well let me explain how we will make YOU RICH! Every time a person registers, they pay their small fee and we do two things; 1. We send you exactly 50% of their fee 2. We place them into your organization. We send YOU a "matching bonus" for exactly 50% of whatever their cheque is. So, if you make $1000 and your downline member makes $1000, we will add $500 to YOUR cheque. We match it by 50%. Every single client becomes a massive opportunity because no other company allows you to leverage the work of others the way we do. If you earn $1000, it's because you gained some clients using our system. Those clients will use the same system and have a chance to earn money themselves. Perhaps you have 20, 30 or even 100 or more downline members who you have brought into the company. Let's just use an example of someone who is very new to our company, imagine they are in only their second month of business. That person used our system in month 1, implemented our easy to follow promotion strategies and signed up 10 people. We would consider this result to be typical for a part time marketer working from home in spare time and that result will earn them $250. Month 2, that same person does the same thing and encourages their downline members to do the same. Work part time in free time and follow our training. The original person still earns $250...nice but not life changing....but wait for it.....each of the 10 people that registered the month before earn $250 EACH for a total of $2500. HERE COMES THE LEVERAGE....we PAY YOU a matching bonus of 50% of their TOTAL EARNINGS! So...you likely have done the math already but in this modest scenario, in the second month, this person will receive a cheque for $1250 on TOP of the $250 they earned in month 2 ($250 x 10 x 50% matching bonus)! So, that's $1500 working part time and benefitting from the LEVERAGE of the world's most valuable resource...PEOPLE! So, $1500 in month 2, let's back up a bit and remember that the person who just earned that $1500 cheque is a downline member too and generated a $750 bonus for their sponsor...which is a preview of month 3 in this example. Those same 10 people have the same modest success and they get $1500 each....that's right, you get a matching cheque for $7500 ($1500 x 10 x 50%), add that to the $1250 from the month 2 new members and the $250 in direct sales that the person in this example earned in their 3rd month and you are starting to see the incredible power in this revolutionary comp plan....In just the 3rd month a newbie marketer who follows the lessons given can earn a cheque for $9250 in just their 3rd month working part time! And don't forget, that cheque generates a matching bonus o $4625 for their direct sponsor! They generated over $4000 for their sponsor and are only a 3rd month part time marketer! We have never seen a more aggressive comp plan than this before. Our mathmeticians have explained that the more we grow, the smaller our margin is however, we do not need to deal with fixed cost inventory, shipping or even infrastructure costs because we own all of our own infrastructure and it is being paid for by other revenue streams...we can survive even if we literally pay out every single penny we collect! So...the only barrier that can possibly remain is doubt over whether we can actually pay commissions this way. No one wants to get their hopes up and discover some small print that results in no one making money unless there are some unattainable criteria met. We do not have anything like that, what you read above is the same opportunity that everyone in our company has. Imagine if someone pays $10. With us, that $10 generates a $5 commission for the person who brought them in. It generates another $2.50 for the person who recruited their sponsor and as we go up the upline, you can see the money pays out forever...the next in line gets $1.25, the next gets $.63, the next gets $.32, $.16, $.08, $.04.....it goes on and on until the commission amounts to less than $.01. At that point the company truly makes zero on a new member however the company remains healthy because ANY revenues we retain are profits since we have virtually NO FIXED COSTS! No other opportunity can offer such a high value and proven product with such an aggressive comp plan. The best opportunity to start is right now since we have not reached a critical mass yet. Leverage the greatest asset you can...the work of others and do it promoting a proven product that has helped thousands and be a big part of the movement that will seem us helping millions! Join the team Today… let’s do this! Click to Join Us for FREE! I am still on my journey, but I have lost 48 lbs, Nowlifestlye really works...! Just seven minutes every other day of exercises will change everything about how you feel! Anybody at any fitness level for any age can benefit from this program.